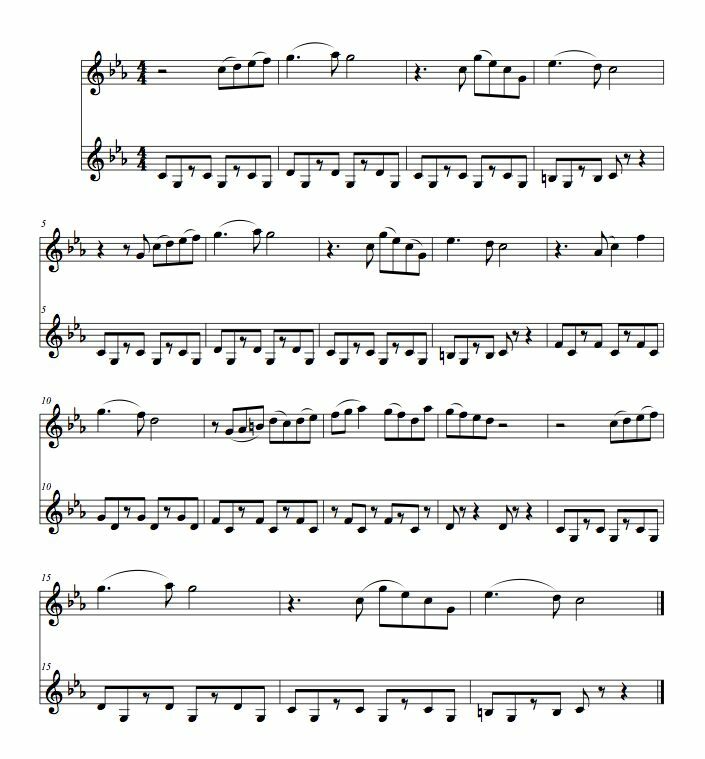 Can someone please help identify which are the notes in this music? I'll be very glad if someone can help me out here. 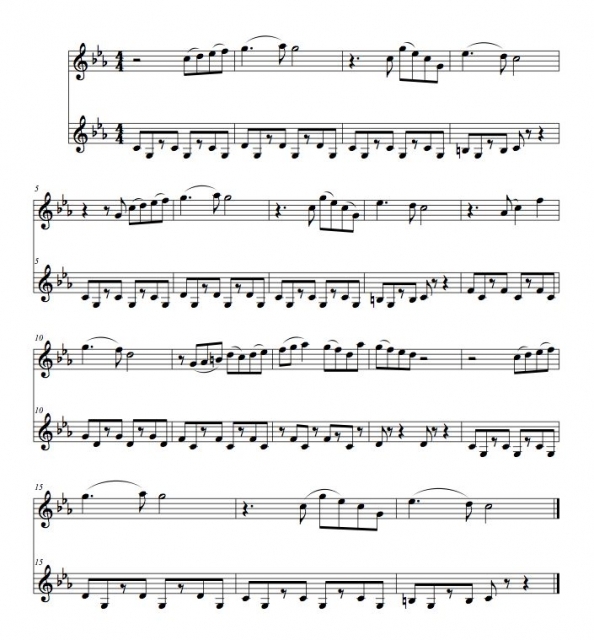 Are you able to match the notes with your voice or by whistling, or on your violin? You can sing or hum them one at a time into a tuner and read the notes from it, or play the notes and read them from your fingerboard or tuner. Here you go. What is it, where did it come from? OMG fiddle, you are a genius, I was striving to find the right tune. The music comes from a game, I heard it while my brother was playing it when I visited him for his birthday. It's Diablo's 3 Abbatoir. Well, normally I'm too busy but I was bored, it was repetitive, and it only really took me about 10 minutes.